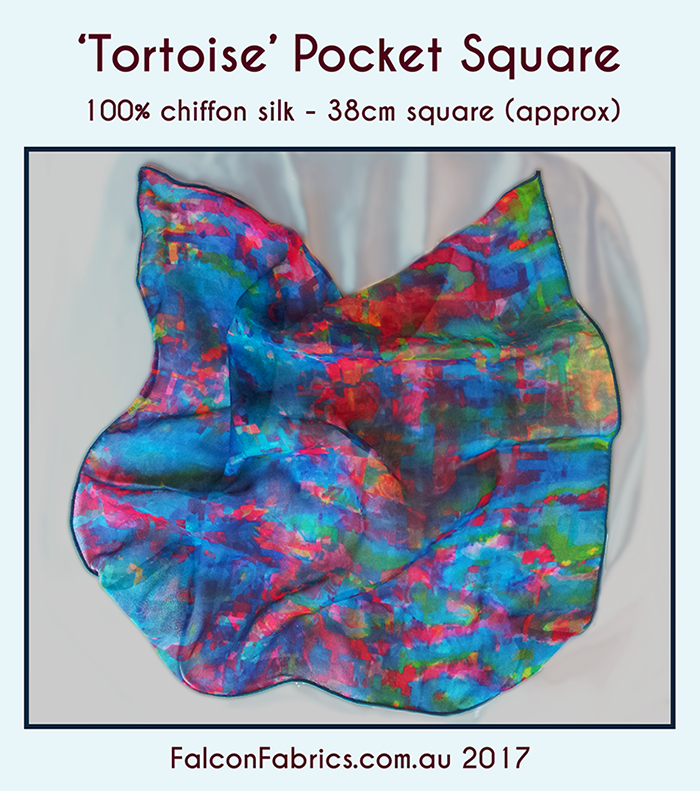 I am available to take bulk orders for my exclusive chiffon silk pocket squares, 38cm square (approx) – in five dashing patterns. 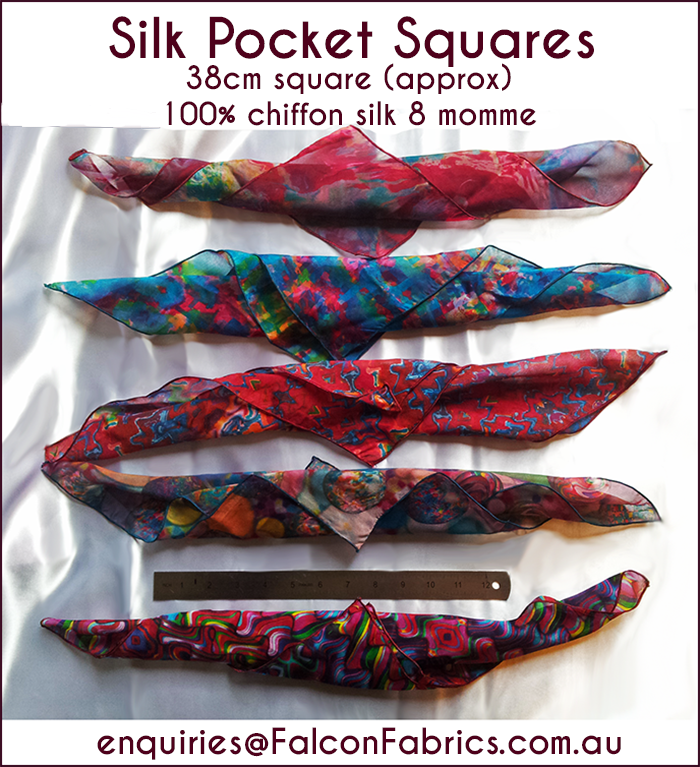 These dapper looking squares are made from the best quality Chinese chiffon silk, and are finely stitched in Australia. 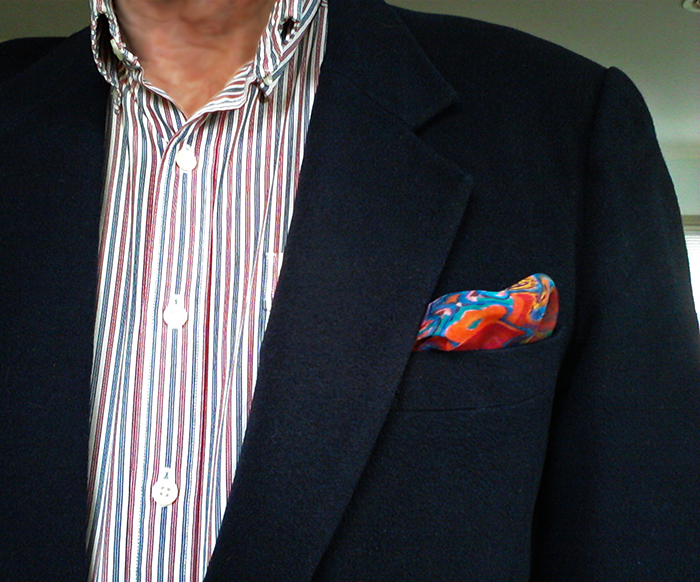 The avant-garde patterns add panache to any jacket or suit coat. 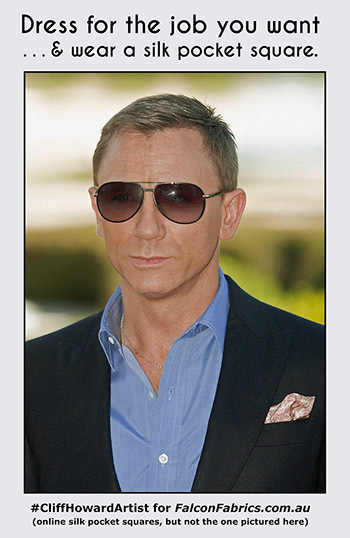 They are trending and being worn with sophistication by many distinguished celebrities. 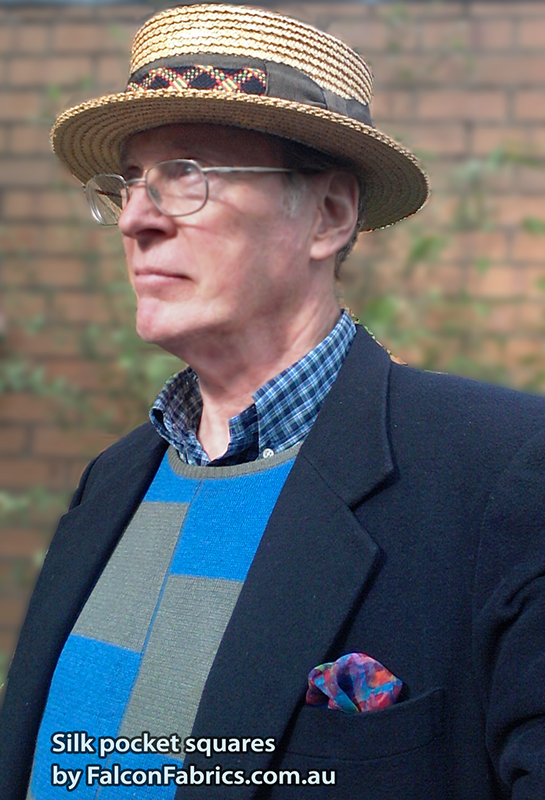 My designer squares are in very limited quantities, and are available only via this website. Trade / bulk-order enquiries are invited. 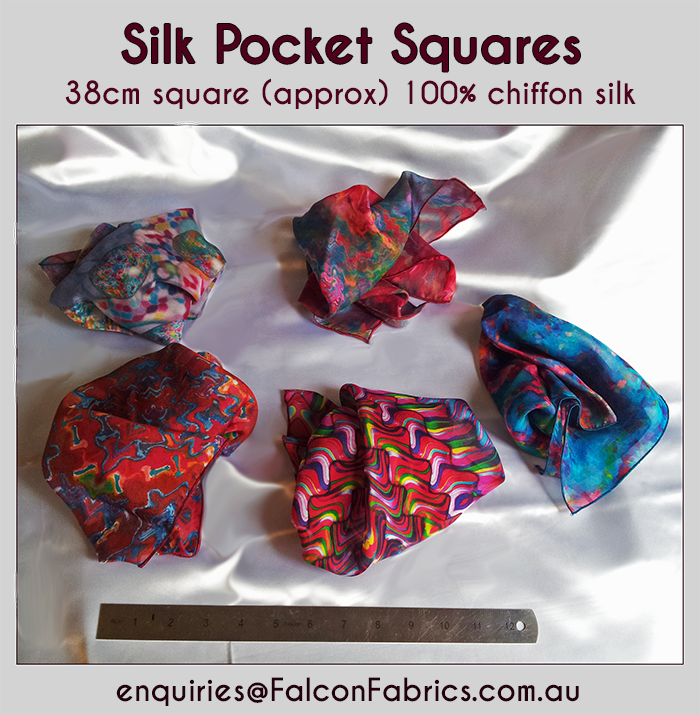 The pocket squares can be purchased direct via this website for the online wholesale / direct price of AU$40 each – with free postage for domestic Australian locations. Simply email me to discuss your requirements.